Learn how to communicate more professionally on the telephone, manage difficult customers, improve your listening skills and much more with our 1-day PD Training Professional Telephone Skills Course in Singapore. This course was developed to help your staff conduct better, business-related phone conversations and provide excellent service and support via the telephone. 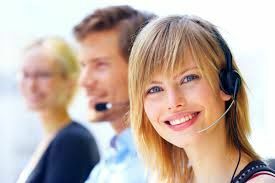 You will learn skills like improving your phone "voice", what words should never be used, how to use effective questioning techniques, dealing with angry customers, what to say when leaving voicemails, staying in control of the call and much more.